Contents: A POP! Vinyl: Codename E.L.F. Reenact your favorite battles, and collect your favorite outfits, with a Pop! Tower Recon Specialist, Highrise Assault Trooper, Black Knight, Moonwalker, Skull Trooper, Love Ranger, Merry Marauder, Crackshot, Red-Nosed Raider, Codename E.L.F., Cuddle Team Leader, Omega in full armor, Brite Bomber, and Raptor. Last player standing wins. Don’t let your fond memories of Buddy the Elf trick you into thinking that Codename E.L.F. is anything less than deadly. 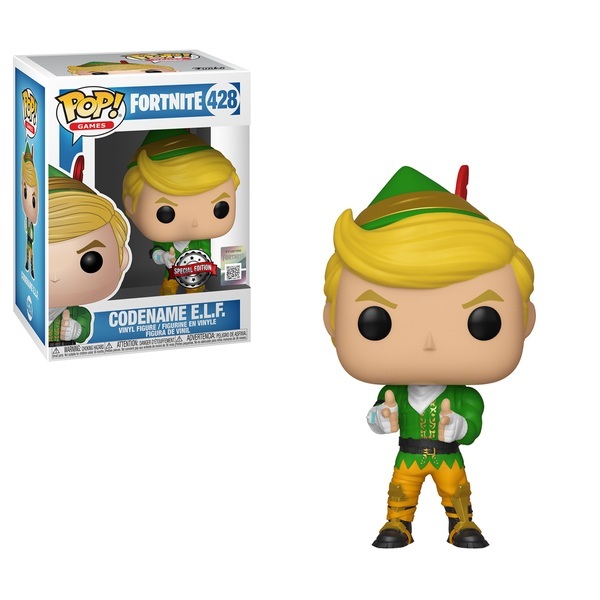 From the tip of his elfin hat to the toes of his black boots, this Pop! is a seasoned warrior ready for battle.